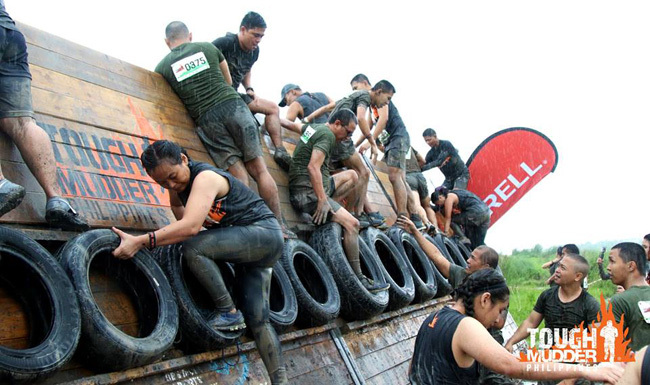 The first Tough Mudder Philippines event also attracted participants from countries such as Singapore, Malaysia, Indonesia, and even USA. Manila, Philippines (July 23, 2018) – Over 2,000 participants from the Philippines and overseas, joined the first Tough Mudder Philippines weekend, which took place last July 21-22, 2018, at Portofino, Vista Alabang. The event marked the first collaboration between Tough Mudder, Inc., and Proactive Sports Management, which is better known for their highly successful ColorManila Run series. 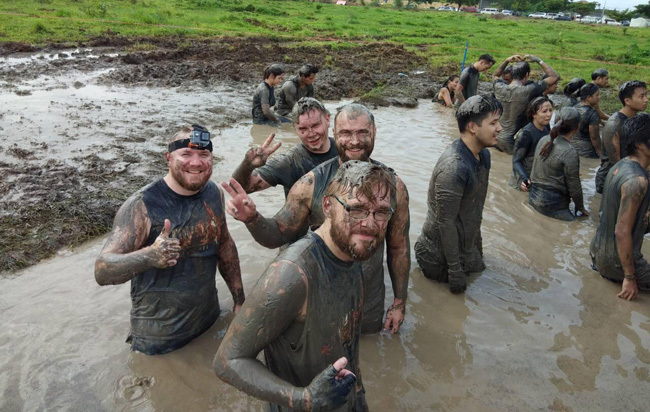 When asked about his thoughts regarding the first Tough Mudder Philippines event, Tough Mudder Senior Operations Manager for International Events Nathan Bassett, says, “Yes it has been fantastic. I think the ColorManila team and Proactive, have really done a good job pulling off an amazing event. It has been a challenging week with all the rains and the flooding, but the event that they put on this weekend has been fantastic, and I see that the participants are all having a great time. Some of the participants included Tough Mudder Ambassadors Raymond Guttierez, Gretchen Ho, Eduardo Lara, Noel Agra, Christi McGarry, Lahaina Mondonedo and Fabio Ide. They were also joined by Tough Mudder influencers Will de Vaughn, Alex Diaz, Carla Piscoso, George Irineu and other well-known celebrities, such as Marc Nelson, Erwan Heussaff, Nico Bolzico, Vince Velasco, Moritz Gastl, Luis Hontiveros, and Dyan Castillejo, among others, who were all seen enjoying the event, at Portofino, Vista Alabang. 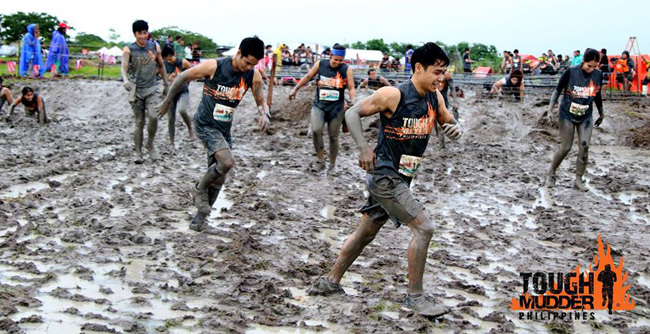 Tough Mudder in the Philippines is held in partnership with Proactive Sports Management, a sports events company which started in 2012, and is known in the industry for staging various marathons and mass participation events. The event was made possible by Cobra, Merrell Philippines, Black Arrow Express, Pretty Huge Obstacles, Vivere Hotel, Crystal Clear, Anytime Fitness, Snippet Media, and Manila Times. Proactive’s next event will be the Yakult 16-miler, to be held on October 7, 2018, at the CCP Grounds. For more information, please visit www.toughmudder.ph and FB/ToughMudderPhilippines.